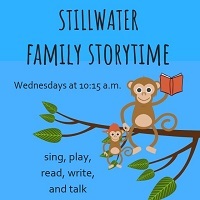 Join us at Stillwater Public Library for stories, songs, fingerplays, and more to encourage the development of early literacy skills. For all children and their caregivers. No registration required.